New collection! 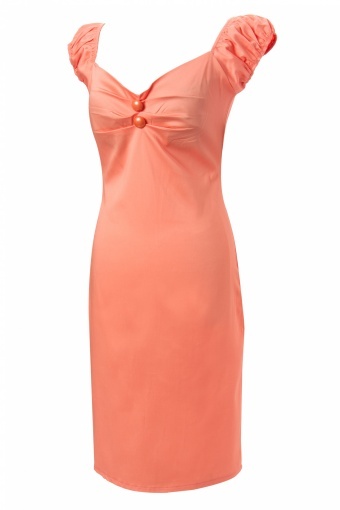 The 50s Dolores dress in Peach from Collectif. This is a fun cap sleeve stretch cotton black wiggle dress in a cute peach colour.